"My weight loss journey began in 2009. 6 years and a nearly 200 lb loss left me with a ton of extra skin on my belly! I had always contemplated surgery to remove the excess skin, but hesitated because it is a very major surgery. After finding Dr. Morales, and meeting with his staff for the first time, I knew that he would be the doctor for me! He was very kind and professional but most of all understanding. Any of you who have dealt with weight/major weight loss understand how mortifying it is to stand half naked in front of anyone, especially a total stranger. I literally teared up when unveiling for the first time in the office, but Dr. Morales and his patient coordinator Linda immediately made me feel hope. For the first time I knew that I would finally be able to see the results that I had worked so hard to achieve for all these years. That I would finally be able to see the body that was hiding under all of my extra skin. Dr. Morales has been amazing through my entire process. On the day of my surgery, he put my nerves at ease by re-explaining everything he planned to do in detail. After my surgery he visited me in his after care center just to see how I was doing. I was very surprised at my pain level. I had expected after an extended tummy tuck/lift to be in a lot of pain, but it was very minimal & controllable. I am now 2 months post op! 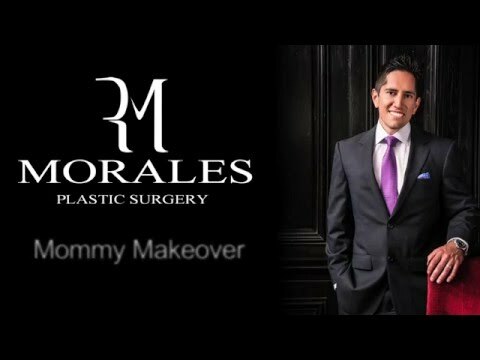 I know Dr. Morales techniques during my surgery & his pre/post op care measures are the only reason I have had such a great recovery. I would say if you are planning to take this ride down "Surgery Avenue" to be sure to have an amazing driver at the wheel. I have already recommended Dr. Morales to several friends/family members & recommend him to anyone out there wanting a beautiful natural change. I give Dr. Morales & his office TWO THUMBS UP! :-) (*Also I must add...my belly & belly button look fabulous! I think Dr. Morales & Linda were right... I will for the first time in my entire life feel comfortable enough to slip into a bikini. I would have NEVER thought...me.. a 30 yr. old mother of two...who was 350+ lbs just 6 years ago would ever actually rock a bikini. Yay! Thank you again Dr. Morales!!!!! )" 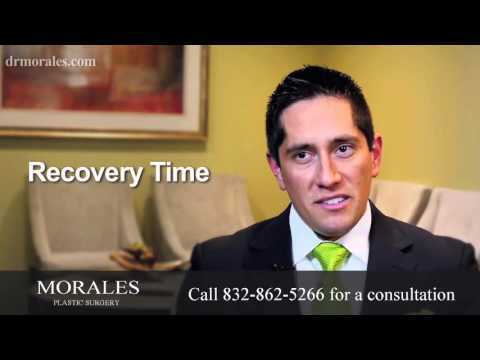 "45 and Feeling 10 Years Younger - Houston, TX - Dr. Morales listens to your needs and explains everything in detail. He takes his time with each individual patient. He gives you great eye contact. I say this because many doctors I have visited are busy documenting the visit without looking at their patients face to face. He has great bedside manners. I honestly feel he wants the best for me." The price for abdominoplasty will vary depending on the technique used, the patient’s condition and aesthetic goals, as well as other factors relating to the surgical case. However, on average, most patients can expect to pay between $8,500-$12,000 for their tummy tuck procedure.